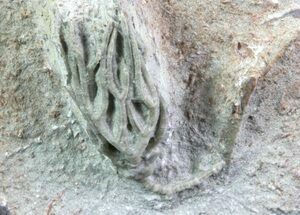 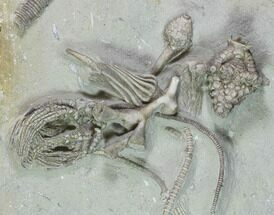 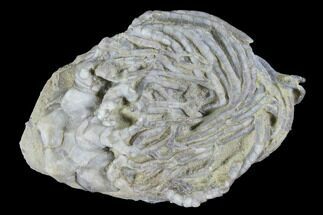 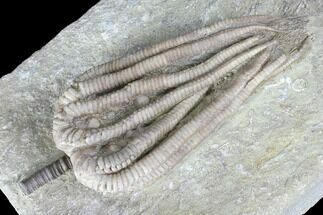 This is a detailed, 3D, 1.4" long Cyathocrinus crinoid from the famous Witherspoon crinoid quarry near Crawfordsville, Indiana. 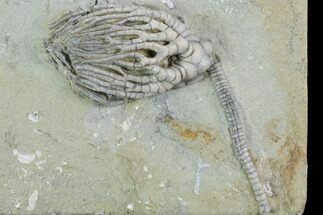 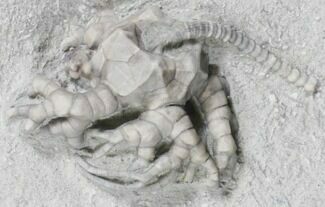 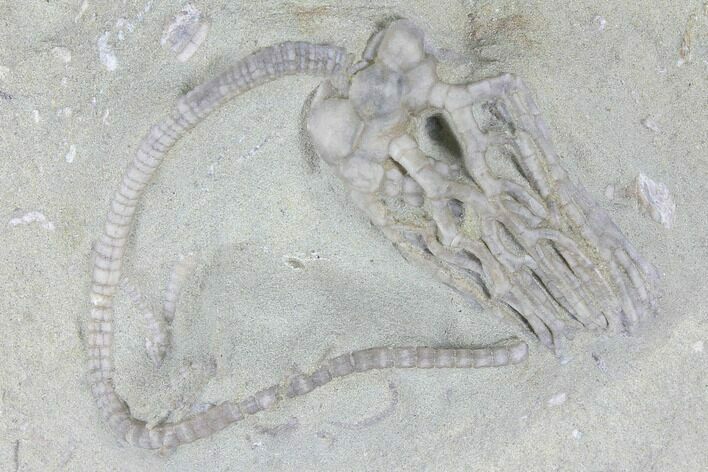 The quality of preparation on this fossil is exquisite - using skillful air-abrasion techniques under a stereo microscope. 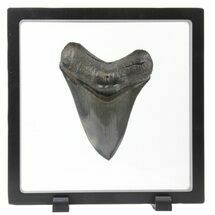 It has a long section of stem still attached and comes with an acrylic display stand.